1.) iTunes :- It is developed by Apple on January 2001 . Most iTunes users are iPod,iPhone and Apple OS. 2.) 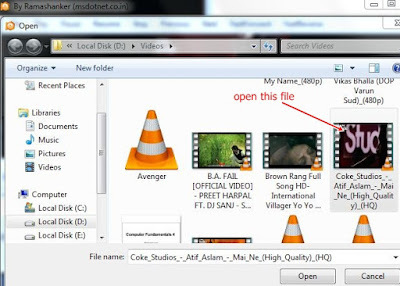 VLC :- It is a Open Source Cross-platform media player. Today this media player is used mostly. It 's framework support to play media files as well as DVDs, Audio CDs, VCDs, and various streaming video and audio etc. 3.) Windows Media Player :- It was developed by Microsoft.The first version of the Windows Media Player resease about in 1991, being compatible with Windows 3.0. 4.) Winamp :- It is media player for window based PCs and Android devices. It was released by Justin Frankel on April 21, 1997 . 5.) Parole Media Player :- It is a media player for unix operating system .It plays local media files such as MP3 ,WAV and MPEG, as well as CDs and DVDs etc. 6.) 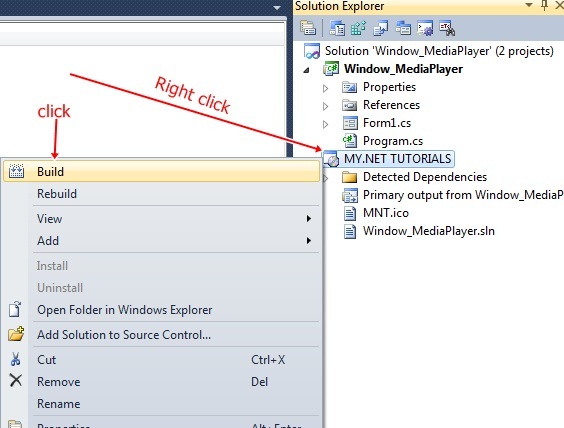 Media Monkey :- It is high highly extensible via scripting. It is currently available in over 10 language.It's look and feel is highly customizable. It is also helpful to play the damage files. Here we will learn"How to make your own media player in visual studio 2010 and install it to others Desktops easily ". Note :- After choose the file, you have to press play button as mentioned in step 7. 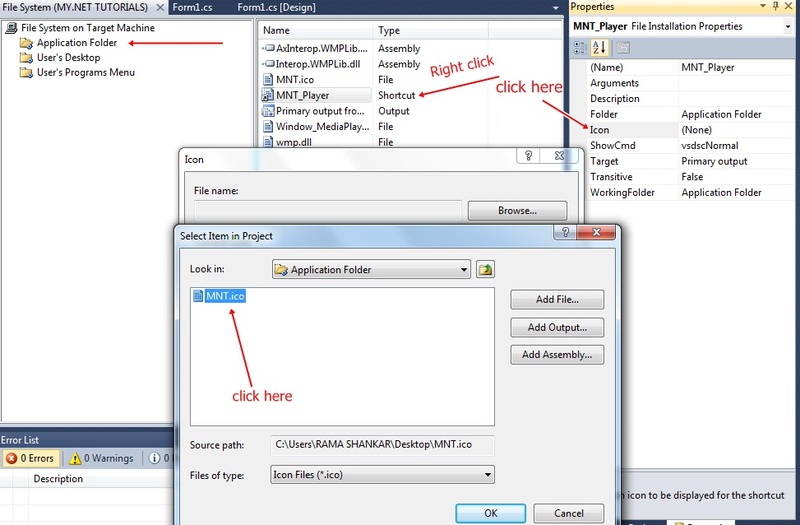 How to create setup file in windows forms application. How to create setup file with database. 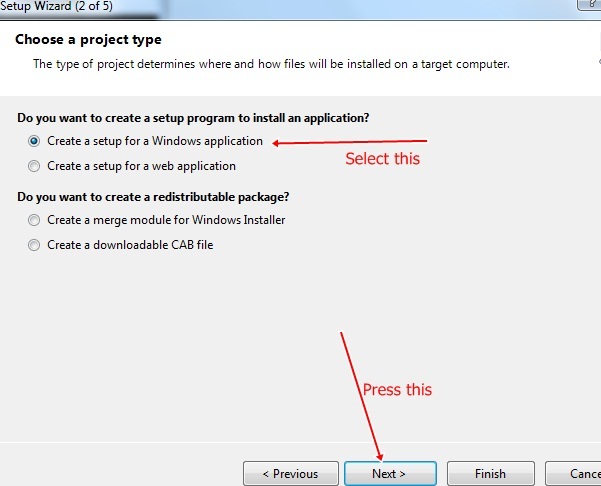 There are some steps to create setup file for this application,After that you can install it at any Desktops easily. 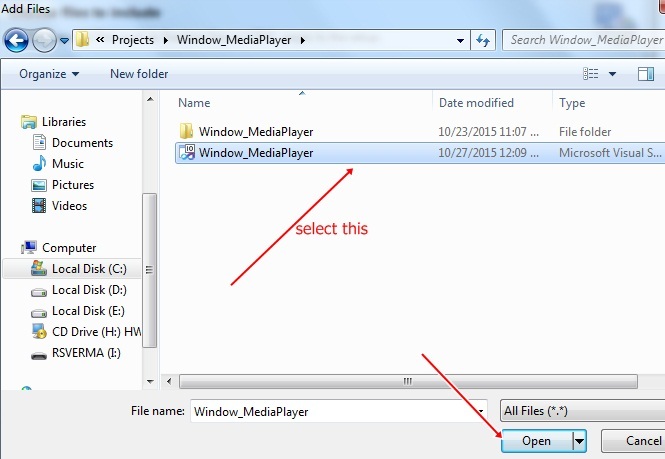 Step 7 :- Now First Press Application Folder --> Go right side window and Right click on that window --> Add --> File ... (here choose an icon file from your Desktop ) . 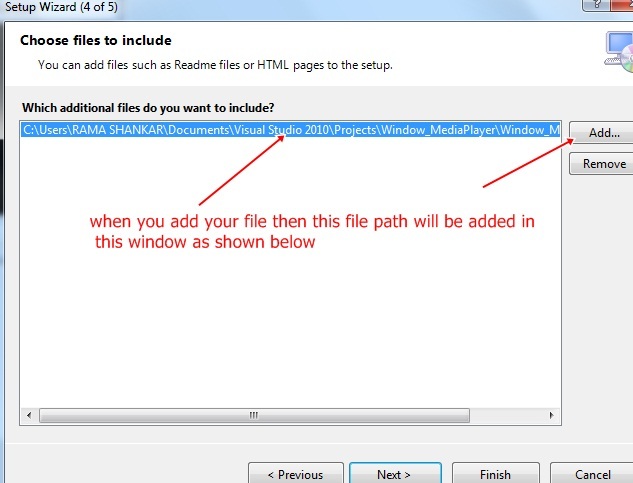 Step 8 :- After that you will see, An icon file(.ico) will be add to your right side window --> Now Right click on Primary Output file and create Shortcut file(You can choose Name your self for Shortcut file) , this name will be shown on your Desktop ,when you will install it .I have chosen Name MNT_Player for this Shortcut file. 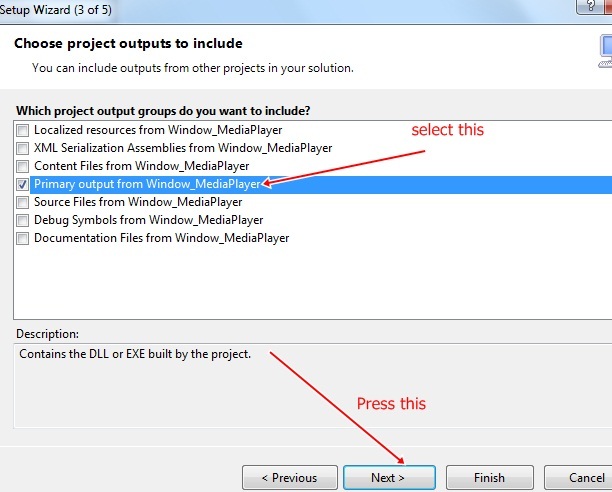 Step 9 :- Now Right click on MNT_Player --> Properties Window -->Select Icon Dropdown list and click (Browse..) --> Now Again Browse --> Double click on Application Folder --> Select your Icon file(MNT.ico) --> press OK . Note :- This is working fine,if any problem you can ask me . 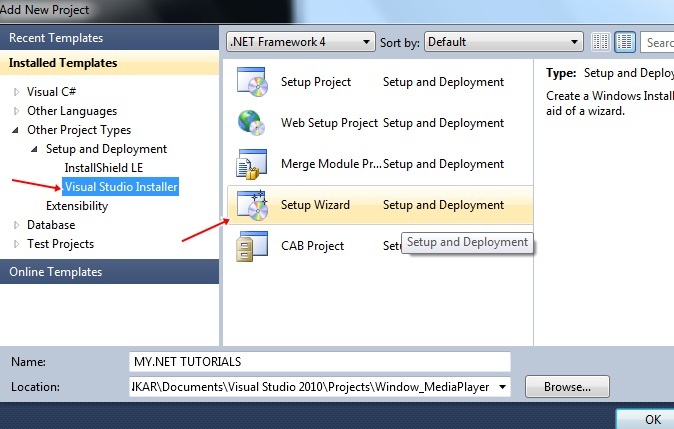 How to use WCF Services in asp.net application.